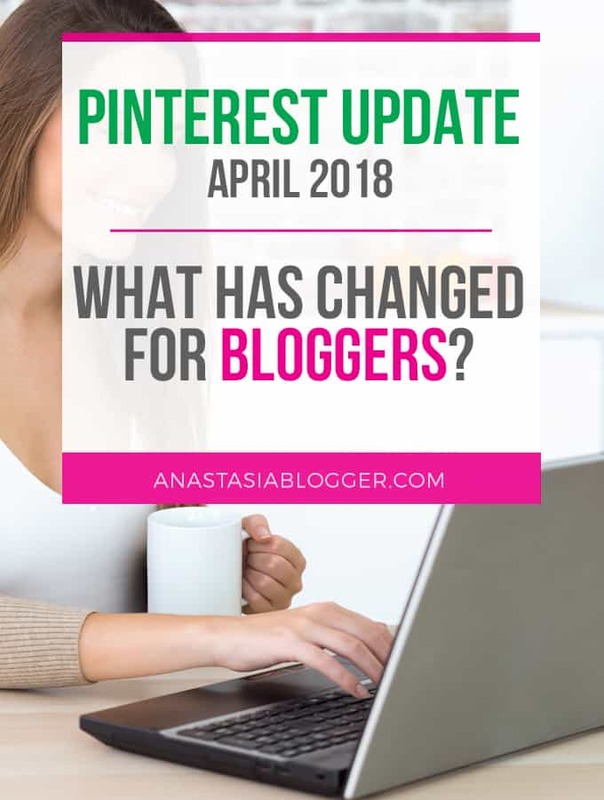 Pinterest Update April 2018: What has Changed for Bloggers? Pinterest is rolling out their major interface changes, right now many accounts appear with the new look, but not all the accounts yet. I heard it might take a few months for Pinterest to roll out the changes on the entire user base. The changes introduced in April 2018, are not only affecting how your profile looks, but also reflect the way Pinterest wants us, bloggers and content creators, to work on their platform. I also created on a page on which at any time you can check the NEW Pinterest UPDATE 2018 (and check all previous updates in chronological order). How Pinterest prioritizes your Pins throughout the day? Does Pinterest penalize you for having multiple Pins for the same post? Seasonal Pins: how much time in advance you should start pinning? Where you should save your brand new Pin first? The latest Pins which were made from your site. Your activity tab shows all the pins which were saved from your site by any other Pinterest users. It’s a handy tool for bloggers like us because you can see which images people like to save from your site and make sure you create new pins with this knowledge as a background. However, I can imagine that some bloggers would prefer to have this information more private like it was before the new interface. If you remove the Activity tab, it will be still seen on your profile, but will not be public anymore. 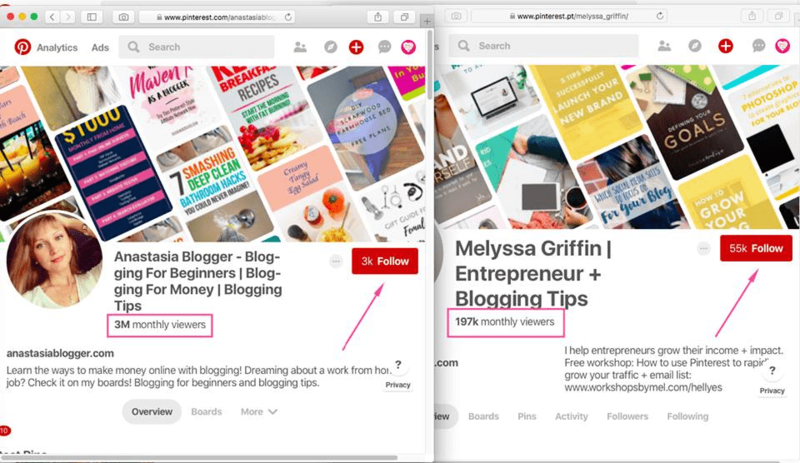 According to what Pinterest added to their Best practices page, creating multiple pins for each post is not only okay but even recommended to increase your traffic. Apparently, when you create different Pin versions, it’s also the best practice to change pin description so that the platform can understand it’s a different pin. And also, this way you can appeal to a different audience by using other keywords. This will help your post rank on Pinterest for different search queries. Get ready for a Season 45 days in Advance! Pinterest officially recommended us to start promoting seasonal and holiday-related pins 45 days in advance! Made a new Post? Pin it! Pinterest is a growing platform, they want to show impressive numbers to the world (in the light of a possible IPO especially expectable). Pinterest gives credit to the accounts which create a lot of new content (pins) for the platform. So once you have a new post, be the first one to pin about it – and take all the credit for your new pin and post. The Pinterest rep also mentioned in the Live webinar that pins made by you as the content creator will be prioritized. But obviously, for this to happen, you need to have your site verified and add the first pin to YOUR own relevant board. Many bloggers used to save their new pins to the Best of… board, which is a collection of their own pins. That probably works for bloggers working in a narrow niche – this way by adding Pins from various topics within one niche to the Best of… board doesn’t confuse the Pinterest algorithm. However, if you Pin about sewing, parenting, health, photography, planners, etc. (and I know there are many bloggers who do this, and it’s great to have so many potential audiences to work with!). But if you collect all these pins to one board, Pinterest will have a hard time understanding what is this board about. When you publish a new pin to a board which already has a hundred of other pins on the same topic, just based on the context Pinterest already knows what is your pin about and on which keywords it should be ranked. After you saved your pin to several highly relevant boards, and once it “caught” the context from those boards, you can save it to bigger and less relevant boards to show to a wider audience. When Pinterest talks about the context, they mean keywords on the board title and description matter, as well as keywords on other pins on that board. Do Followers Even Matter Anymore? One of the main things discussed by bloggers is that in the new profile look, your monthly views stats are now available to everyone! This is the total number of Pinterest users who interacted with your Pins in the last 30 days, and this number is always rounded. So, if you have in your internal Pinterest Analytics 1.7 million views – you are lucky, Pinterest will show it as 2 million on the public profile. If you have 1.3 – you are not so lucky yet, your profile will show 1 million. I’ve been thinking about this change a lot. It’s a conceptual change for Pinterest. They don’t want users to focus on growing Pinterest followers that much. They want users to produce more pins and increase their reach. They want users to think of Pinterest more as of a search engine which gives you traffic and audience as opposed to a social media which gives you the empty following numbers. Once the reach becomes public, I expect people will naturally start competing with each other in growing reach by making more pins and publishing more content on Pinterest. 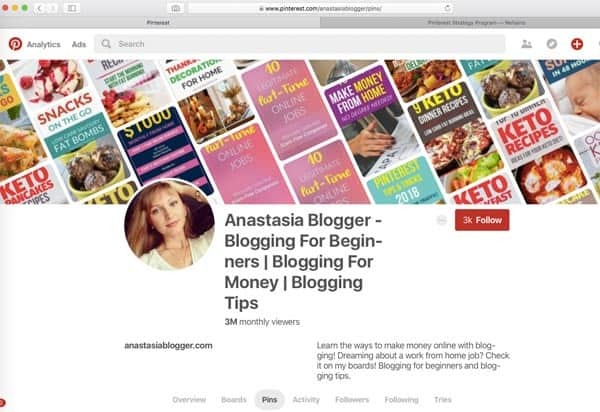 I wanted to share with you an interesting comparison I made between my account and the account of another blogger, who is a well-known Pinterest expert making over $200,000 a month with her courses. She has over 55,000 followers on Pinterest, which made me think she must have an amazing reach. Now that we have the data available, we can see that my account with barely 2,500 followers (yes, Pinterest rounded my followers to 3000) is getting way higher reach than Melyssa’s account with 55,000 followers. It’s reasonable to say as well that I don’t blog only about blogging and business, I publish all kinds of stuff on my blog, including recipes, seasonal posts, and all of this works on Pinterest better than business and blogging content. But even taking this into consideration, I feel that with 55,000 followers and being managed by a Pinterest expert, this account’s numbers could be better. If I were about to buy a Pinterest course for $400, I would expect that the author has some impressive results with her own account. Most of you guys are going to blog about all kinds of stuff – DIY, recipes, fashion, beauty, health, etc. This is why I figured it’s so important for me to explore various niches and manage to generate Pinterest traffic before I start teaching you how to do it. My site is just a little over 1 year old, I started with a 0 following Pinterest account and by the 10th month blogging, I reached 172,000 monthly pageviews to my blog, with about 90% of traffic coming from Pinterest. Since I figured out how to get consistent traffic from Pinterest, I decided I have to try to do it with a brand new blog and see if I use my strategies – how fast I’ll be able to get my site to a significant traffic level. So I started my second blog in Feb 2018, and the new blog momshealth.co already hit 74,000 monthly pageviews in less than 90 days! And again, almost all the traffic comes from Pinterest. That is a great, informative post. However, I must say I hate the constant changes of Pinterest’s interface, both on web as well as on the app. It’s like they’re trying to irritate the content creator. And they do succeed in that. In my humble opinion, Pinterest gets worse with each year that goes by. Brilliant post!! I’ve heard a lot about the new Pinterest updates, as I’m trying to stay in the loop with a new Pinterest ebook on the way, but I love how simply you put it all here. Hi Ana! Thank you for your kind words! Yep, it seems that she gets the majority of traffic from Google and FB ads. This has been so useful! Thank you for the valuable information. I’m glad this post is helpful! Hi Anastasia, is your course Pinterest SEO Traffic Secrets updated for the latest Pinterest changes? I’m looking for something up to date. thanks! Hi Emily! I’m happy you already bought the course and I wanted to reply here to your questions as well because probably other potential students have the same doubts. My course was released in April 2018, so all the info is recent. Plus, I’m regularly updating the course because yes – Pinterest is changing the algorithm and rules very often. All students get access to updates of the course for free. I have a new blog and I am trying to grow my Pinterest traffic from scratch again. I say again as I have 6000 followers but have left the account idle for a few years. It will be interesting if I can rebirth it as such. I am hoping groups and tailwind can help me out here. Do you think tribes, groups and multiple pins will still be effective in 2019? Great post, some interesting points here. I think you can totally revive your account and 6000 followers is a good bonus (even though you have to be ready that a certain % of them might already be not active Pinterest user by now). Anyway, 6000 followers is always better than starting with 0. Yes, I believe group boards and tribes will be still helpful. Group boards have to be targeted (don’t join group boards that allow pins about anything and everything). I created this post specifically for the update of April 2018. When I did it, I wasn’t smart enough to think of all the future updates and used “april-2018” in the post URL. This created a limitation for any future updates on this specific page, so I left it alone and created a more detailed post over here https://anastasiablogger.com/blogging/pinterest-update/ which includes updates which happened long after April 2018. The most serious (I would say historical) update in 2018 was also in the summer, which I reflected in this long-read article. My course was majorly updated to reflect everything Pinterest wants from content creators in 2019 (removed a huge block of tutorials on Boardbooster scheduler and recorded Tailwind detailed tutorials, news about the group boards and the number of fresh pins Pinterest now wanted from content creators). I would say my course is perhaps the most current on the market because I don’t wait until the end of the calendar year like most course creators do, to do a major re-launch and sell the course at a higher price. I just record new videos as soon as something happens and inform my students about the changes.